Many farm policymakers generally consider the federal crop insurance program as the principal tool to help farmers cope with the variable impact of weather on crop yields. The program makes available subsidized policies that farmers may purchase each year to protect against yield and/or revenue declines during a particular growing season. Policies are available for about 130 commodities, covering crops supported by traditional farm programs (e.g., corn, wheat, and soybeans) as well as many fruits, vegetables, tree nuts, nursery crops, pastureland, and other commodities. Farmers pay a portion of the premium, unlike farm programs, which are free. Premium subsidies for federal crop insurance have been instrumental in expanding program participation to levels acceptable to policymakers. 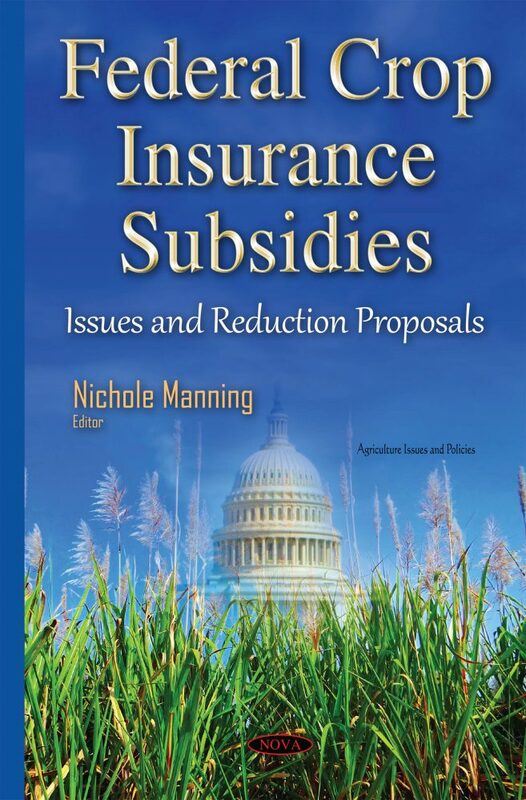 This book examines current premium subsidies, proposals to limit them, and potential options for Congress. Furthermore, this book examines trends in federal crop insurance costs and farm sector income and wealth from 2003 through 2012; and the potential savings to the government and impacts on farmers, if any, of reducing federal premium subsidies for revenue policies.